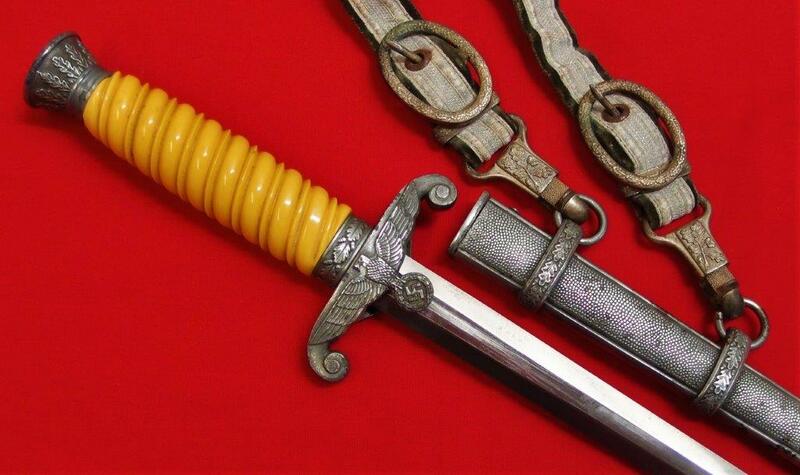 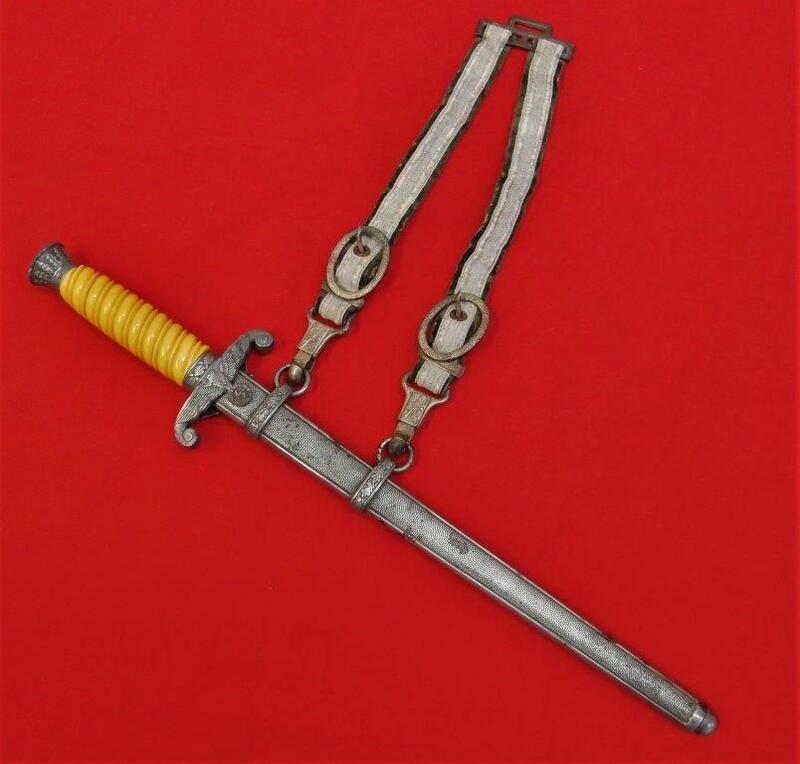 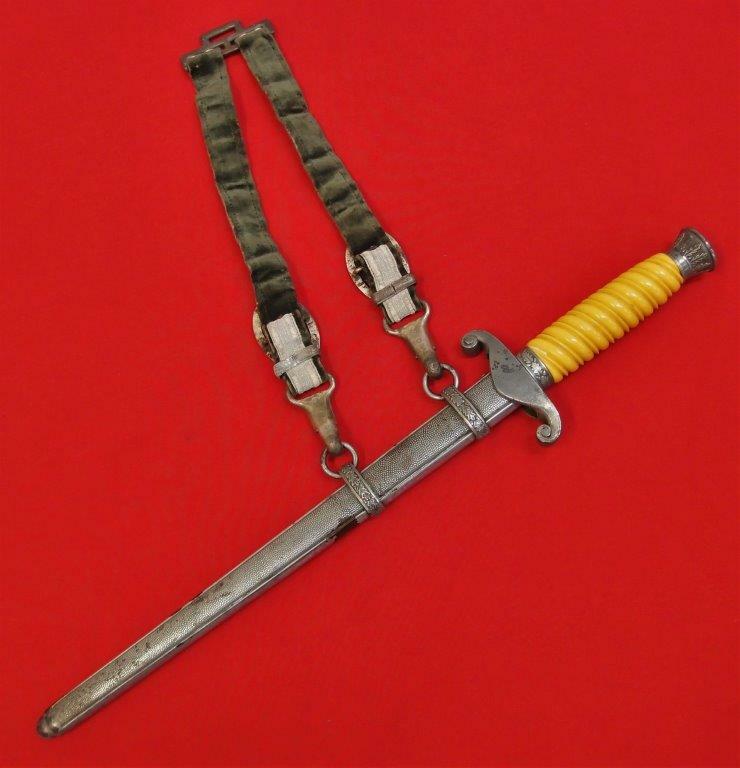 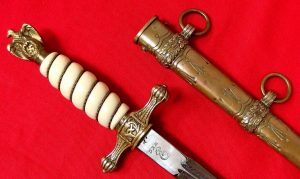 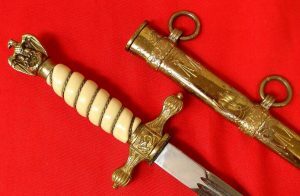 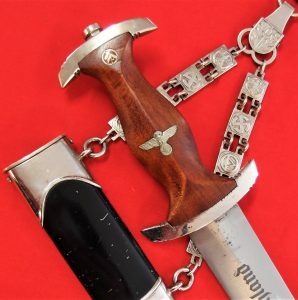 Nazi Germany Army officers dagger, with scabbard & hangers. 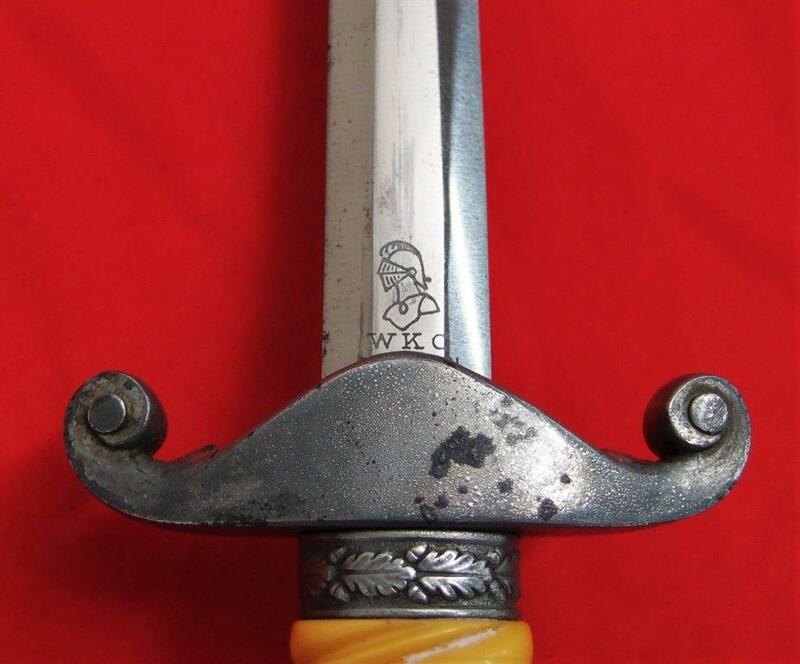 Maker marked to WKC Solingen. 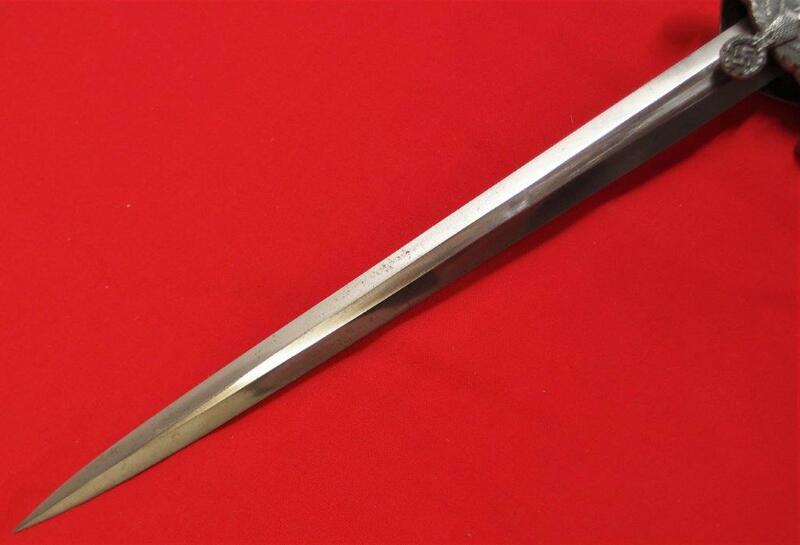 26cm long blade is in very good condition with only light runner marks. 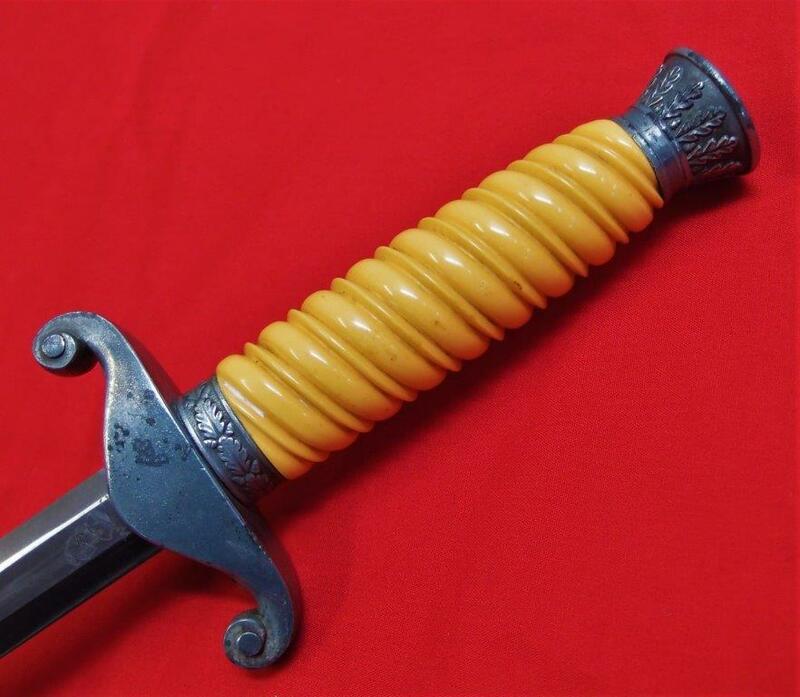 Mustard coloured celluloid grip is in perfect condition. 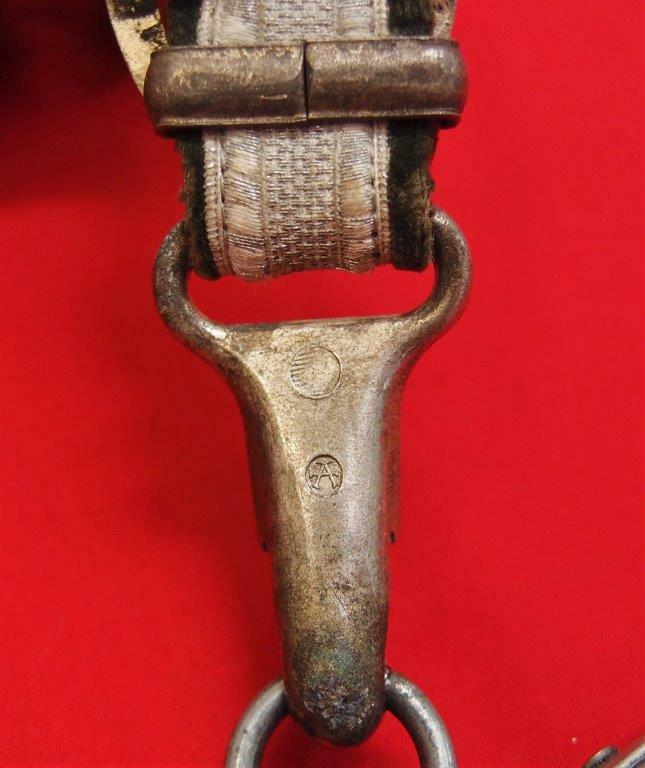 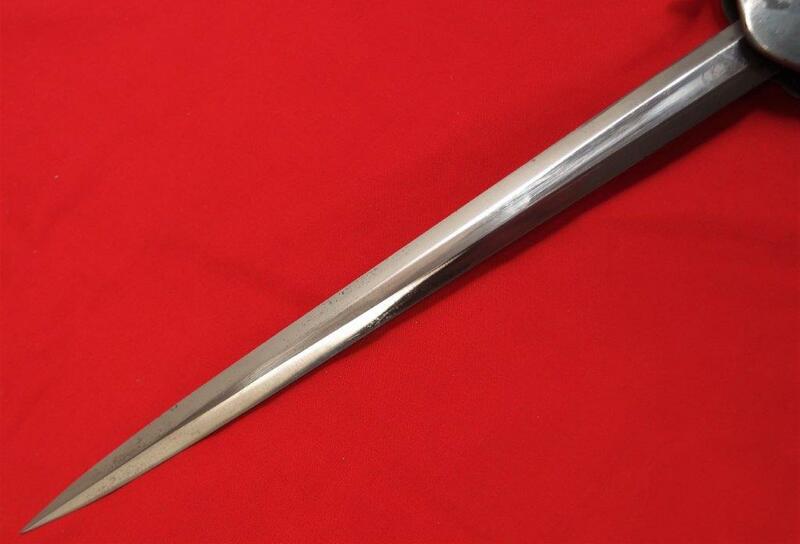 Scabbard is dent free and in good condition, with loss of plating to one small point underneath second suspension ring. 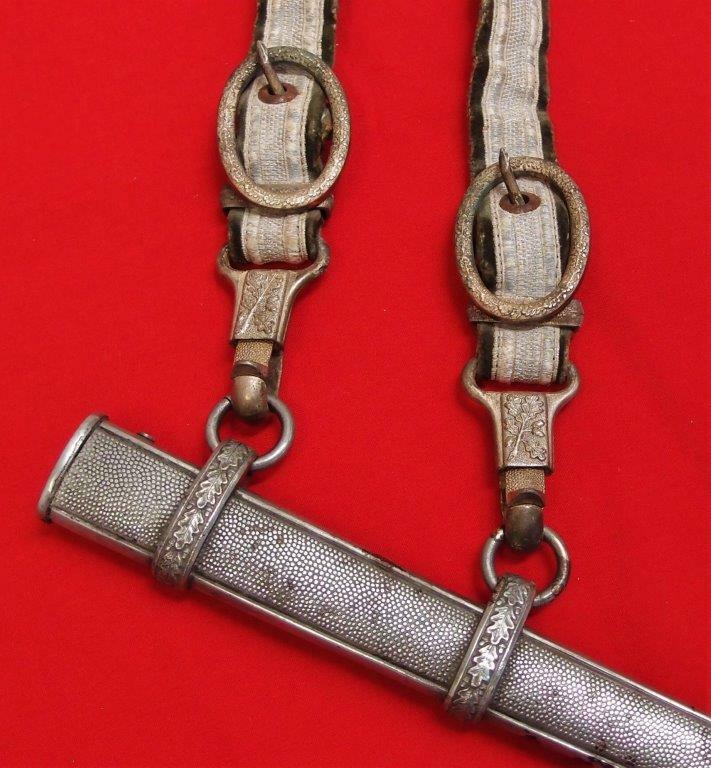 Hangers are maker marked to F W Assmann & Sohne and show light wear, but generally good overall. 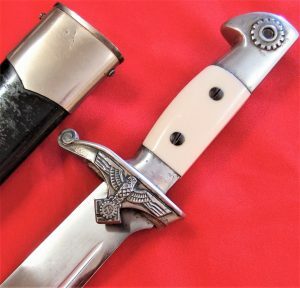 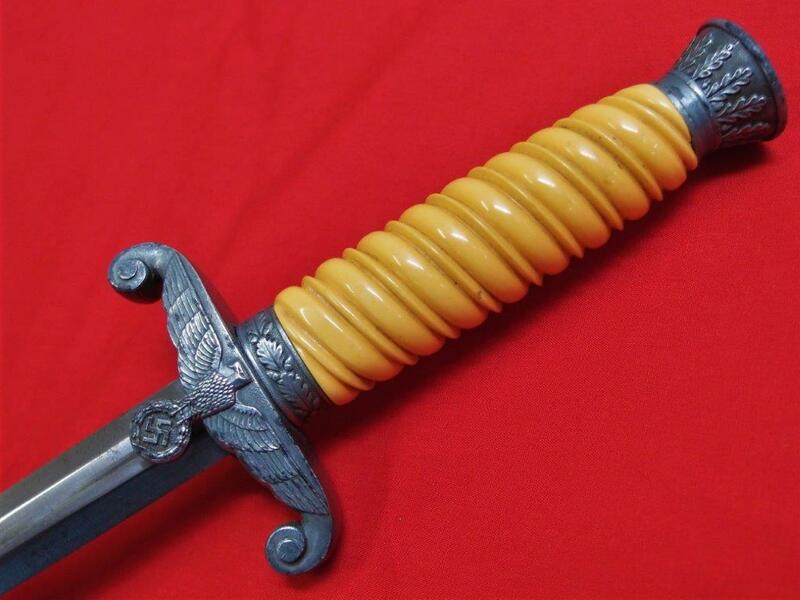 All-round a very good condition dagger.